While an undergrad student at UNI, Ashley Prieksat had her dream job in mind: to teach students Business in the high school setting and help them have authentic learning experiences in a career field in which they were interested pursuing. She graduated with her Business Teaching degree with a Multi-Occupational Careers (MOC) Endorsement and found herself teaching at Norwalk Middle School in the Technology Dept. While she absolutely loved her experiences and colleagues at the middle school over the previous 10 years, when she was approached last spring about starting an MOC program at the high school, she couldn’t turn it down. After attending a Work Based Learning (WBL) Conference in April and completing 80 hours of study at Iowa State this summer, Prieksat is now a concurrent instructor for DMACC so the MOC course and a Computer Science Principles course that she’s teaching count for DMACC credit. The bonus lies in that students don’t have to go to a DMACC campus to complete the work. Ashley is also teaching three sections of Career & Financial Readiness, using Dave Ramseys ‘Foundations in Personal Finance’ curriculum. 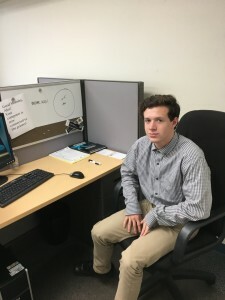 The MOC course currently has nine students enrolled and they have covered topics from resumes, interview skills, to work place appropriate behaviors and were then placed in work places to shadow someone in their desired career field. 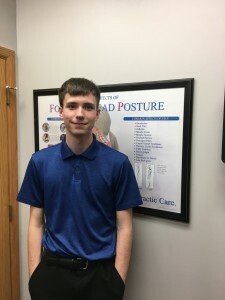 Examples include: Rylan Desmond at Norwalk Chiropractic who has traveled to Kansas City for a chiropractic conference among other job-related experiences. Alex Senecaut is working at Exit Realty here in Norwalk, Madison Thielen is working at City State Bank to study business finance, Brady Emswiler desires a DNR-type job and is working at Archery Field & Sports, Miranda Barr is studying Art Education at Oviatt Elementary, Nolan Magee is a marketing intern at Oh, Bacon!, Christian Thomsen is shadowing a Graphic Designer/Audio Producer, and Noah Percy is serving as Norwalk Schools Superintendent’s intern. 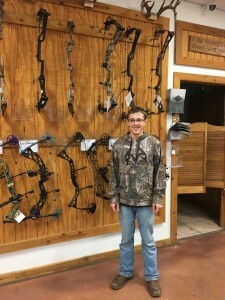 Brady Emswiler at Archery Field and Sports. Prieksat hopes to grow her arsenal of contacts, career field experts, to place future students right where they want to be. Together, they research the students’ desired career field’s course of study at various colleges, cost of that education, anticipated salary in that field and what life in general, would look like in that career. This information proves invaluable as high school seniors consider their next steps towards their dream job. Thankfully, Ashley can say that her 10 years’ wait was worth it to get to her own dream job at Norwalk High School. For more information, you can contact Ashley, aprieksat@norwalk.k12.ia.us if you’d like to enroll your future senior in this course in the 2018-2019 school year.